Do Not Compromise on Revenue! 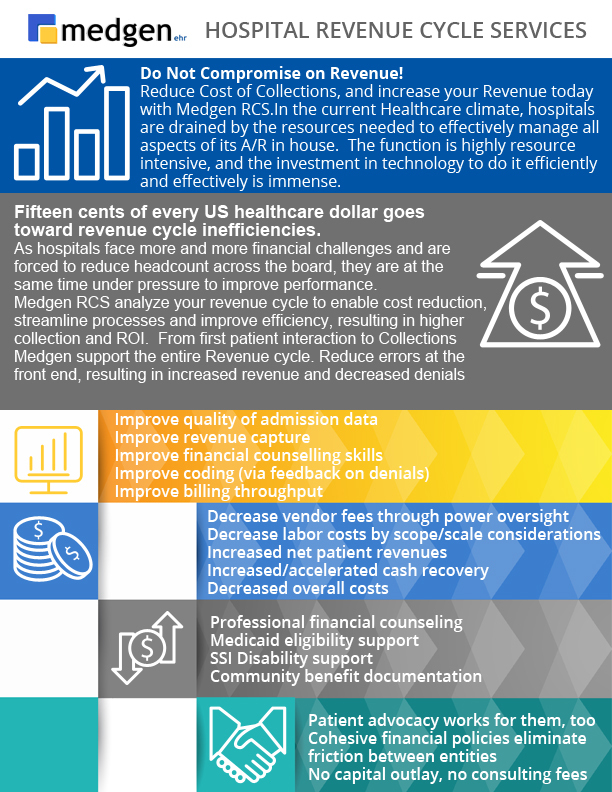 Reduce Cost of Collections, and increase your Revenue today with Medgen RCS. resource-intensive, and the investment in technology to do it efficiently and effectively is immense. 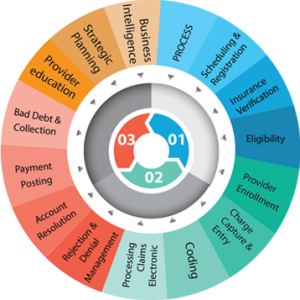 Fifteen cents of every US healthcare dollar goes toward revenue cycle inefficiencies. headcount across the board, they are at the same time under pressure to improve performance. 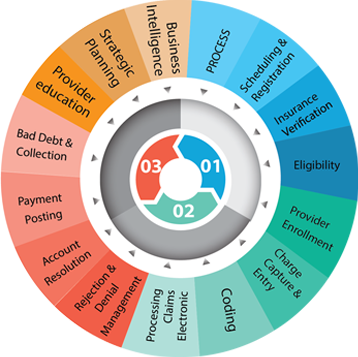 Medgen Patient Collections pro-actively support you to reduce the patient balances.